Mixed news came Tuesday regarding Planned Parenthood and the group’s fetal parts trafficking practices. As the Hill reports, the Department of Health and Human Services Office of Inspector General (IG) announced that there will be an investigation of federal oversight on fetal tissue research. However, HHS will not investigate Planned Parenthood — even after a dozen videos released this summer show top-level Planned Parenthood executives discussing the harvesting of baby body parts. The announcement came after a written request in October from 35 Republican senators, including presidential hopeful Rand Paul. The Inspector General says it will probe the National Institute of Health’s grants for fetal tissue research, as well as research conducted by the NIH. The IG also plans to investigate federal oversight regarding the practice. …we will interview HHS and National Institutes of Health (NIH) officials, as the majority of HHS funding for human fetal tissue research is awarded through NIH. This approach will also focus on gathering relevant documentation related to policies and procedures for monitoring fetal tissue research activities. Our goal is to obtain information related to fetal tissue research grants, NIH’s monitoring procedures over third-party certifications and those related to the Department’s internal fetal research, and any known violations of Federal requirements. Planned Parenthood has applauded the investigation. 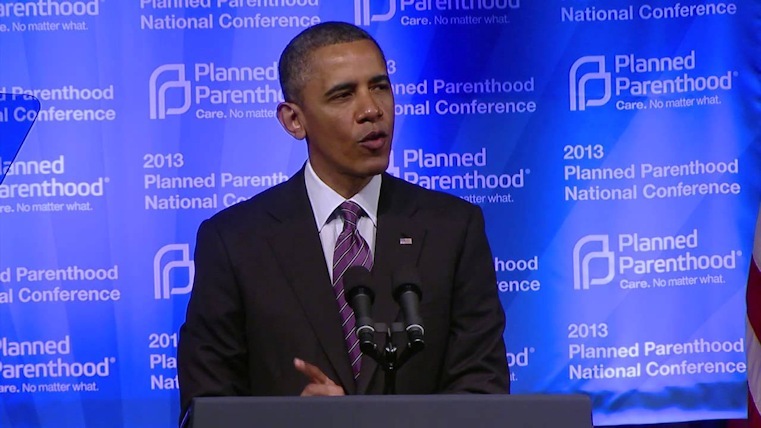 Such a move is not shocking, however, considering the Obama administration’s longtime support for Planned Parenthood. However, with the small steps that are being taken, there can be hope for an honest investigation.